Home > Questions > Can dermal fillers be dissolved? Can dermal fillers be dissolved? Dermal filler can be dissolved using an enzyme which breaks down the filler immediately. The enzyme can only be used on non-permanent fillers. The video below, filmed by Cityskin, shows what happens when we add a dissolving enzyme to a small amount of dermal filler. After 5 minutes the filler has been broken down. How long does it take for filler to be dissolved? When we inject the dissolving enzyme it takes a matter of minutes for the filler to start being broken down. Throughout the course of the day the enzyme continues to work at removing the filler. How many treatments will I need to remove my filler? The video above shows a tiny amount of filler being dissolved (0.05ml which is about 1/20th of 1ml). Sometimes it takes more than one session of dissolving to remove the filler depending on the type of filler. Generally, firmer fillers are more difficult to dissolve. How much does filler dissolving treatment cost? At Cityskin we charge $250 per treatment to dissolve dermal fillers. In the video below Dr Jonathan Brown from Cityskin discusses how to dissolve lip fillers. 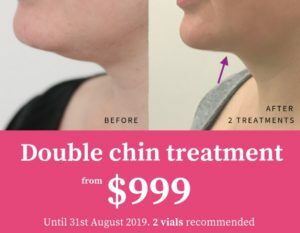 This is a service that we offer at Cityskin if you are unhappy with the treatment that you have had at another clinic.